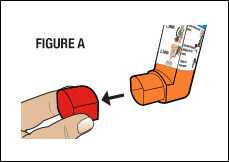 How Do You Activate Your Inhaler? Only do this with a new inhaler, the first time you remove it from the box. Remove red cap (Figure A). 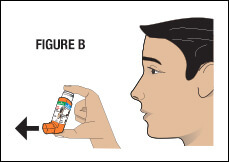 Hold inhaler with opening away from your face and others (Figure B). Shake then test spray into the air (Figure C). 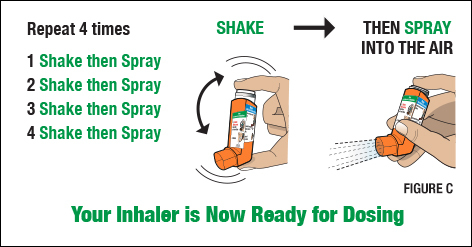 You must repeat both actions 4 times to activate your new inhaler.